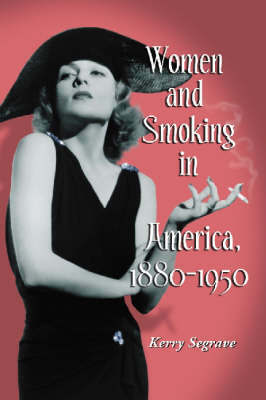 This social history traces the evolution of women's smoking in the United States from 1880 to 1950. From 1880 to 1908, women were not allowed to smoke in public places, with strong opposition based on moral concerns. Most smoking was done by upper class women in the home, at private parties, or at socials. By 1908, women smokers went public in greater numbers and challenged the prejudices against smoking that applied to them alone. By 1919, most restaurants allowed women to smoke, though most other public places did not permit it. More and more women smokers went public in the period between 1919 and 1927, with college students leading the way. By 1928, advertisers began to target female smokers, and over the next two decades women smokers gradually gained equality with male smokers.